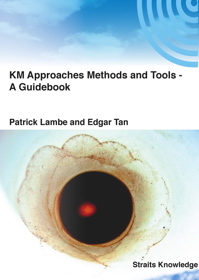 This book will be valuable to knowledge managers, community facilitators, KM activists, project managers, trainers, or anyone who wants to develop a portfolio of different techniques to support knowledge transfer. Note that we also provide training in many of these methods). Download a preview (introduction and chapter 1) here.